Experience one of the world’s most breathtaking natural wonders in an action-packed, historical day tour that will leave you completely awe-struck. Your all-inclusive discount Las Vegas Grand Canyon 6-in-1 Tour tickets offer you the most intimate Grand Canyon experiences. The tour begins with a comfortable, scenic 30-minute ride via complimentary luxury transportation to the heliport in Boulder City. Following a continental breakfast, guests will board a state-of-the-art Eurocopter EC-130 wide-body jet helicopter. Specifically designed for aerial sightseeing tours, the aircraft features forward-facing seats for 180 degrees of unrestricted panoramic viewing, state-of-the-art audio system and voice-activated headsets. As you experience the magnificent aerial views of the Grand Canyon’s west rim, your seasoned pilot will provide educational and entertaining narrative of the area that includes the Hoover Dam, Bypass Bridge and Black Canyon. 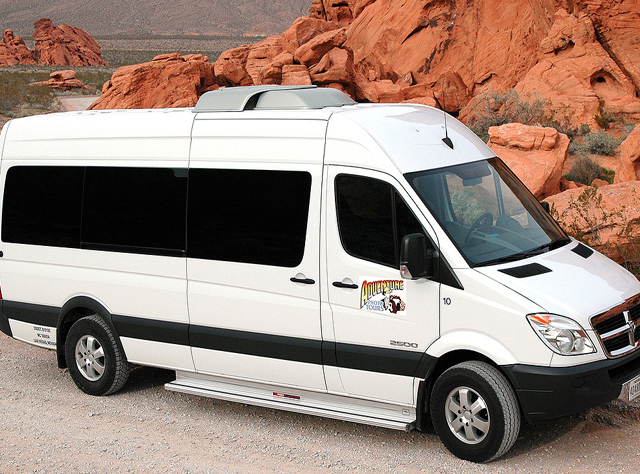 Upon landing on the west rim of the Grand Canyon, you will have the opportunity to explore Eagle and Guano Point as well as popular Hualapai Indian Reservation landmarks via a hop-on and hop-off shuttle. Experience live Native American tribal dances and learn about the proud culture of the Hualapai people. For an additional fee you can walk the world famous Skywalk attraction, which provides an unparalleled view of the canyon and Colorado River. After leaving the Grand Canyon, your tour will conclude with a breathtaking flight over the Mojave Desert, before your limousine shuttles you back to the Strip. Get your low-priced Las Vegas Grand Canyon 6-in-1 Tour tickets from VEGAS (the app) today for an unforgettable adventure to one of the most stunning natural wonders of the world!